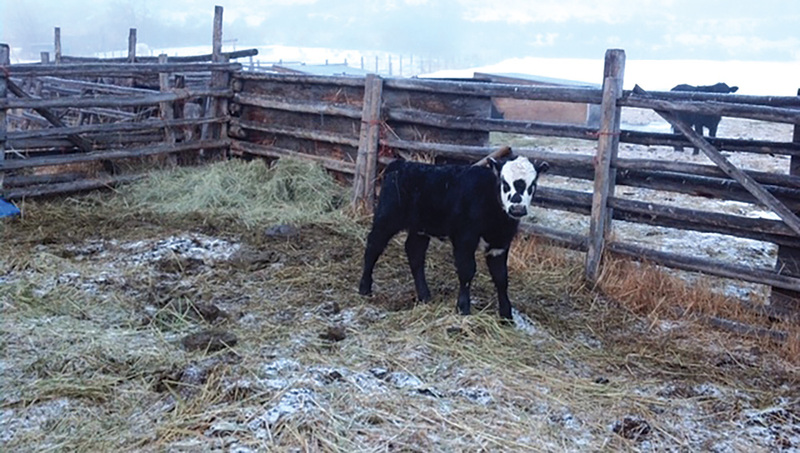 Calves born in cold weather may suffer adverse effects, including frostbite, especially if they are unable to get up and nurse before they chill. 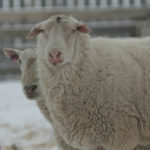 Dr. Andy Acton of Deep South Animal Clinic at Ogema, Sask., says there are two problems when dealing with cold weather. “One is hypothermia, and the other is frostbite, and they don’t always happen together,” he says. A calf can be very chilled, but if its tissue doesn’t freeze, it’s not frostbitten. These effects will vary based on the temperature, wind chill, and how much time a calf spends in cold conditions. 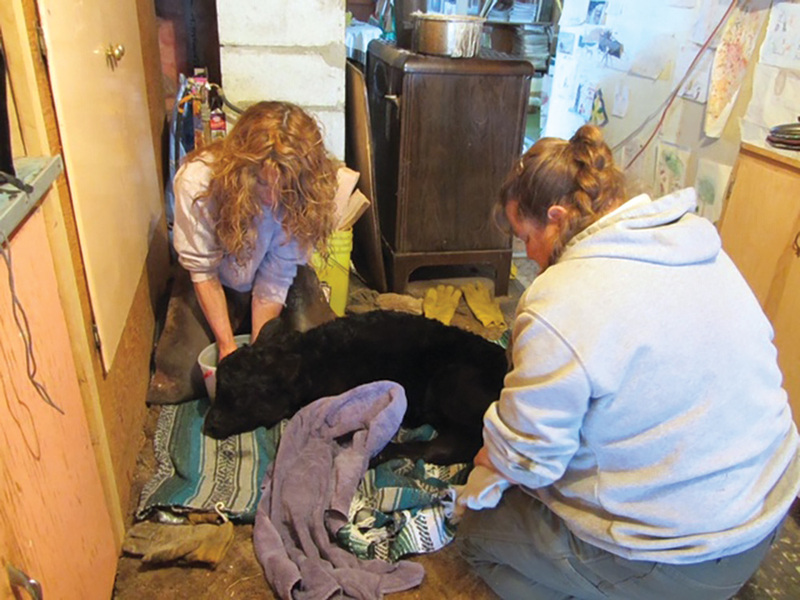 A sick calf may chill and suffer frozen extremities, due to circulatory impairment. 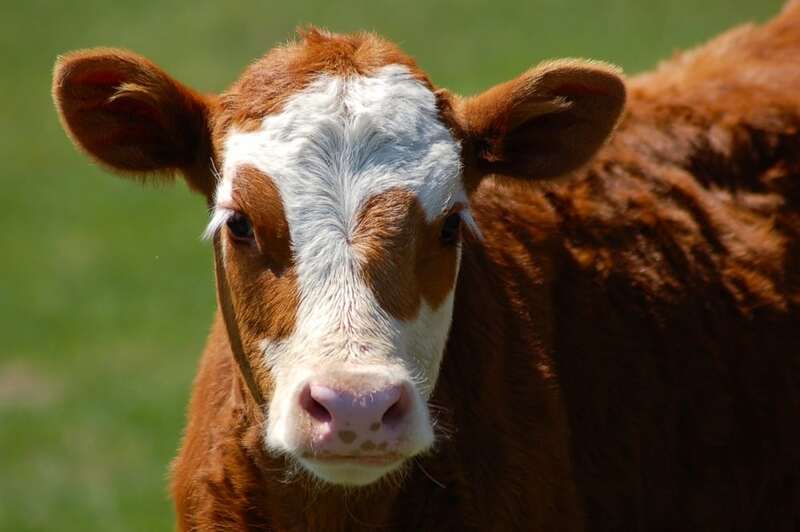 A scouring calf, for instance, may be dehydrated. His ears, tail and feet become cold and more vulnerable to freezing. Even an older animal may suffer frostbite if blood circulation has been compromised. “One of our producers brought in a sick yearling one winter, and it walked in on totally frozen hind legs. They were frozen solid, and that was a serious mess,” says Acton. Dr. Katharina Lohmann of the Western College of Veterinary Medicine in Saskatoon says that a sick, weak individual that spends a lot of time lying down may suffer frostbite more readily than an animal moving around. 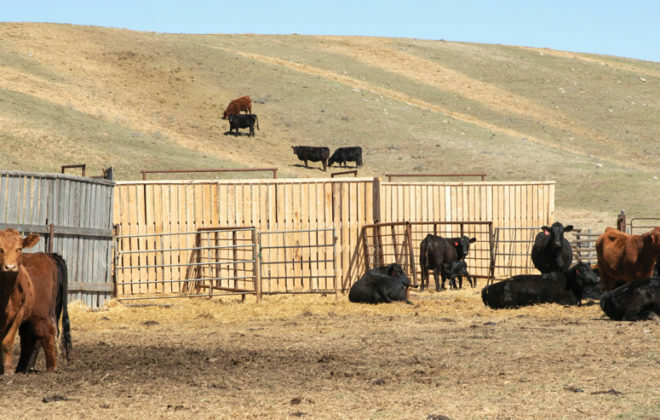 “We see this sometimes even in adult cattle with severe arthritis, for instance, if they spend all their time lying down. They can become severely hypothermic lying on frozen ground, and can actually freeze to death. “An animal in poor body condition also has less insulation against the cold than an individual with a layer of fat under the skin, and may also have impaired circulation. 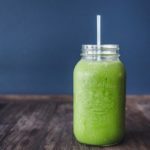 Around here, our winters are cold, and we emphasize importance of shelter and a good plane of nutrition for winter,” she says. Frostbite kills body tissues when ice crystals form inside the cell membranes and those cells rupture. If it’s just the superficial skin layers, those outer layers may become discoloured, then peel away, like a superficial burn. The skin eventually heals because deeper tissues are still alive. After healing, the skin may be discoloured or have loss of pigment. Damage to deeper layers and small blood vessels may lead to more extensive tissue death. Frozen tissue generally turns black after thawing and sloughs away, and can only heal by scarring to cover the gap, if there is no viable skin left, says Lohmann. 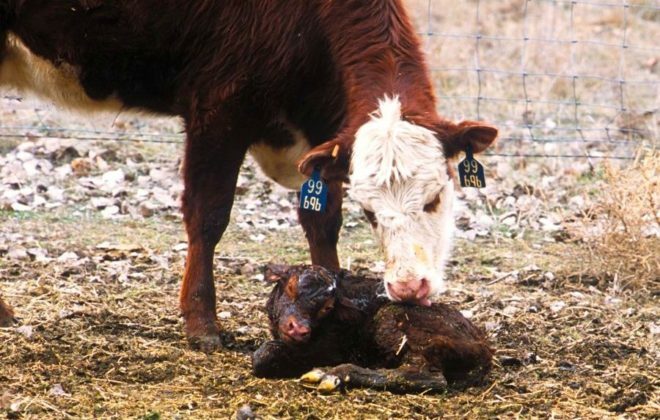 Often when a newborn calf suffers frostbite it is also hypothermic. If core temperature gets too low the calf may die. Warming it is just as important as thawing out frozen extremities like ears, tail and feet. 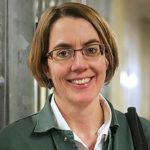 Lohmann says warm colostrum — warm to the touch but not hot — can help warm a calf from the inside, as well as provide the extra calories for generating body heat. Colostrum contains twice the fat calories of regular milk. “Severely hypothermic animals may require more intensive therapy such as warmed IV fluids,” says Lohmann. 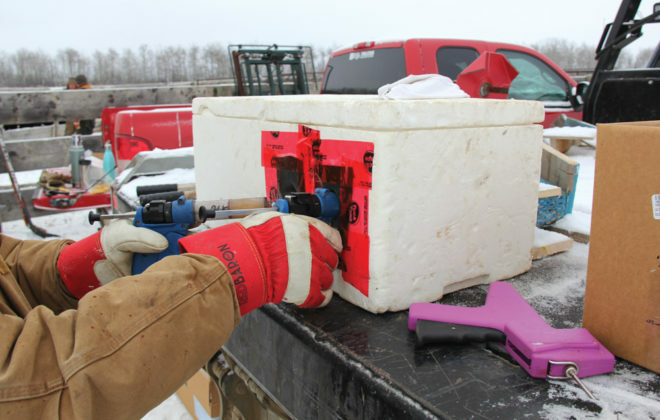 Lohmann recommends thawing the calf at moderate temperatures of 38 C to 39 C or 100 to 105 degrees F.
“We generally use hot water bottles and heat lamps and closely monitor rectal temperature so the animal doesn’t overheat. Overheating is potentially harmful,” she explains. Getting damaged skin too hot can add to the frostbite damage. Some of the hot boxes with heat lamps can become too hot. Acton has looked at various ways people try to warm a hypothermic calf, and feels warm air is usually better than warm water. 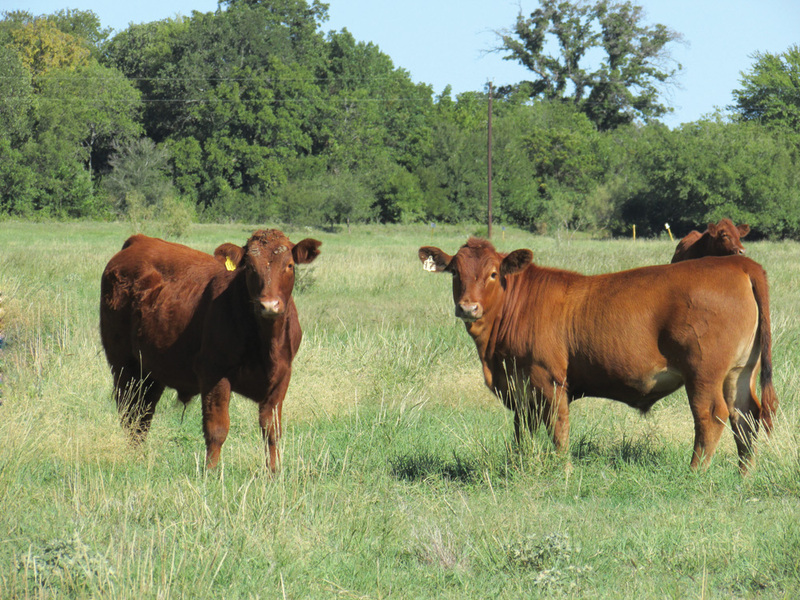 “I know it can be frustrating, waiting for a cold calf to warm up, and very tempting to put it in a water bath. 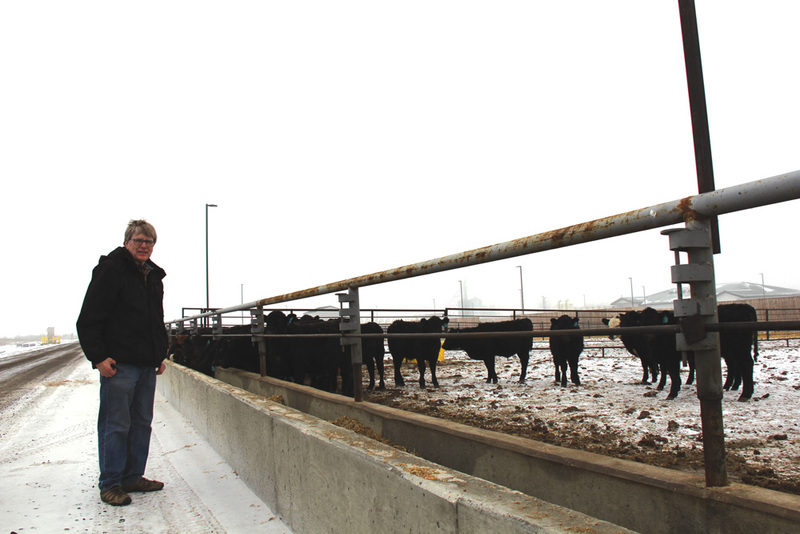 I don’t say a person should never put a calf in warm water, but it’s not always the best answer,” says Acton. It might be a last-ditch attempt to warm a severely frozen calf, but for a merely hypothermic calf, warm air works better, he says. 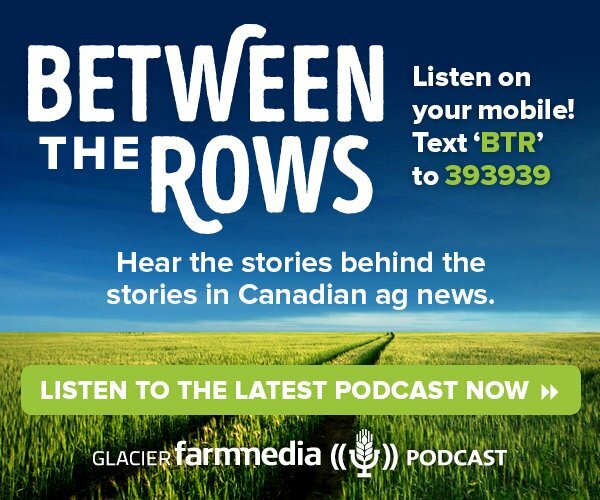 If producers are using a bath, they should avoid using hot water, Acton adds. “Body temperature is as hot as the water needs to be. If it is too hot it can be a shock to the system,” he explains. Blankets or towels are good bedding for cold calves. Change them regularly for warm, dry ones, says Acton. Warming an animal too much or too quickly may cause heat injury and can be life threatening in cases of severe hypothermia, according to Lohmann. In a cold animal, blood has been shunted away from extremities and into the body core, to try to keep the internal organs warm enough to keep them functioning. Hot water drives the cold from the outer body surfaces into the body core. It can chill the heart too quickly, killing the animal. Ranchers attempting to thaw frozen calves in a bathtub with hot water sometimes encounter this phenomenon. A safe way to warm a severely cold calf is to use warm intravenous fluids and warm the air it’s breathing. The innermost part of the body needs to warm as swiftly as the outside. If it’s a cold, wet newborn, the calf should be dried at the same time because wet calves have a harder time warming up. Towels and hair dryers can help speed the process, but don’t get the skin too hot with a hair dryer. Always keep in mind that frostbite is similar to a burn as the injured tissues are very fragile. Some people massage the frozen areas to try to restore circulation, but rubbing them too vigorously can damage them even more. Acton often uses towels, warm air, warm colostrum and sometimes warm intravenous fluids. “Take your time. I don’t think you can warm them too fast with warm air, but in an enclosed space like a hot box, make sure it is not too hot. It needs to be a comfortable temperature. 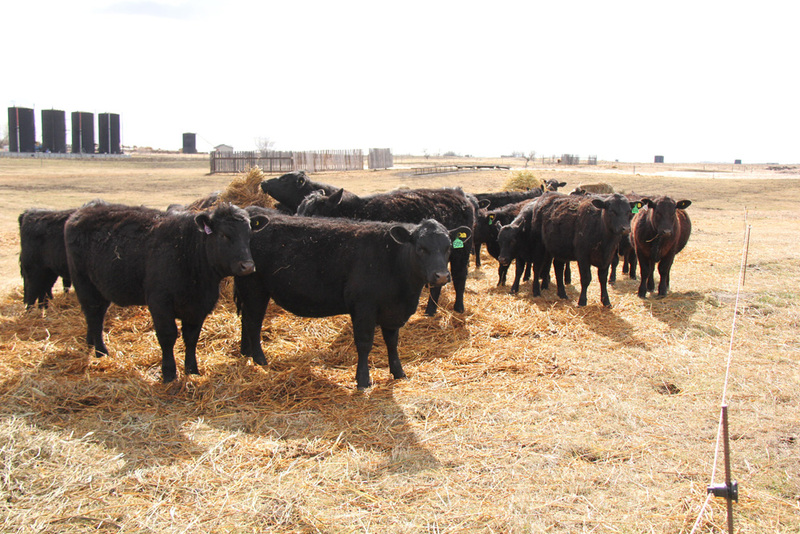 If you are too warm in the area where you are warming the calf, it’s too warm,” he says. It pays to use a thermometer to measure how cold the calf really is. Normal for a calf would be about 38 C or 100 degrees F, or just a little above. If its temperature is a little subnormal, like 37 C, the calf should warm up fairly readily, once it’s out of the cold and has some warm colostrum. “But if its temperature is in the low 30s — below 90 F — this is a serious problem,” says Acton. Also keep in mind that wind can be more detrimental than cold, especially for a wet newborn. The key is to get these calves warm and keep them warm. “Don’t put them back outside again after you get them warm and dry. They are compromised and it will take a while for them to recover,” he says. If the calf was merely chilled and gets its body temperature back up to normal within an hour or so, has a belly full of colostrum and is now dry, it can probably go back out with mom. 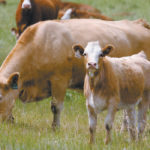 If the calf suffered frostbitten ears, tail or feet, and those extremities are compromised, it needs to stay indoors until it is fully recovered and the frostbitten tissues are no longer swollen and painful. Otherwise the calf will be more vulnerable to cold stress and freezing again. Regarding frostbite, there are no magic fixes. It depends on how deeply frozen and how damaged the tissue is and how long it’s been frozen. “If frostbite is severe you can’t really reverse it. What’s done is done, and all you can do is keep it from being worse,” says Acton. “Some people claim that applying petroleum jelly to the frozen areas helps, but nothing you can put on the frostbite will make any difference,” he says. Taping the ears against the body might help prevent frostbite by keeping the ears warmer in severely cold weather, but it won’t reverse frostbite, he says. For treatment, there’s not a lot that can be done once the tissue cells actually die. If you suspect frostbite and it’s not too severe, initial treatment is aimed at warming the tissues. “We sometimes see calves that people bring in to our clinic because the legs and ears are swollen. We suspect they had frostbite that didn’t quite kill the tissues,” says Lohmann. As blood returns to thawing tissues it creates edema (swelling), redness and inflammation. There may also be subcutaneous hemorrhage, due to damaged tissue. 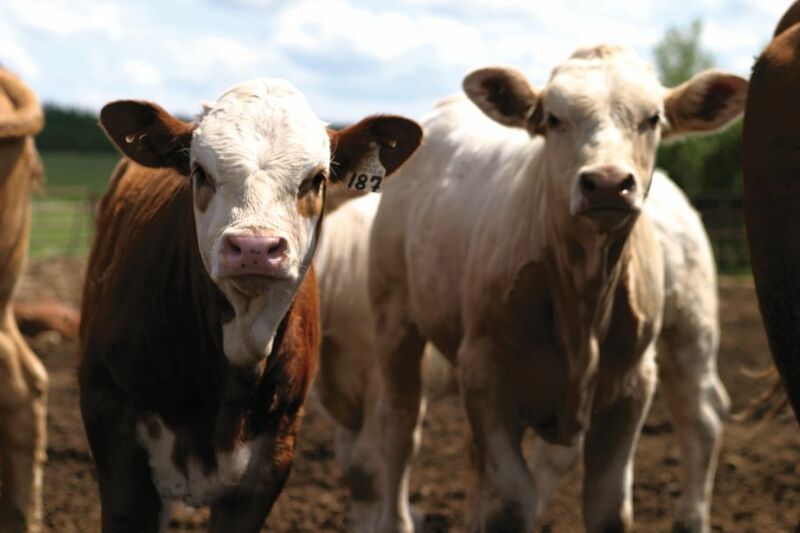 A retrospective study of frostbite injury in calves published in the Canadian Veterinary Journal in 1993 found that changes in blood vessel permeability and impairment of fluid movement from tissues seems to cause edema, Lohmann says. In other words, freezing seems to directly injure the blood vessels. When checking if affected tissues are dead, vets generally check sensation to see if the animal responds to touch. That indicates blood supply and whether tissues are still alive. 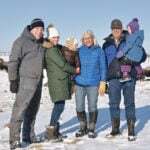 “To see if feet are frozen, we often check for sensation at the coronary band, sometimes sticking it with needles to see if it bleeds and whether or not the calf feels it. If they don’t feel it, and the tissue doesn’t bleed when poked, that’s usually a good indication that the tissue is dead,” she says. Pain medication may be needed, as well as antibiotics (topical or systemic) to prevent or treat infection in the compromised tissues. Lohmann also recommends tetanus vaccination. The calf can survive with shorter ears or tail, but significant damage to feet can be a serious issue. Sometimes there is severe damage, but not to the point that the hooves slough off. 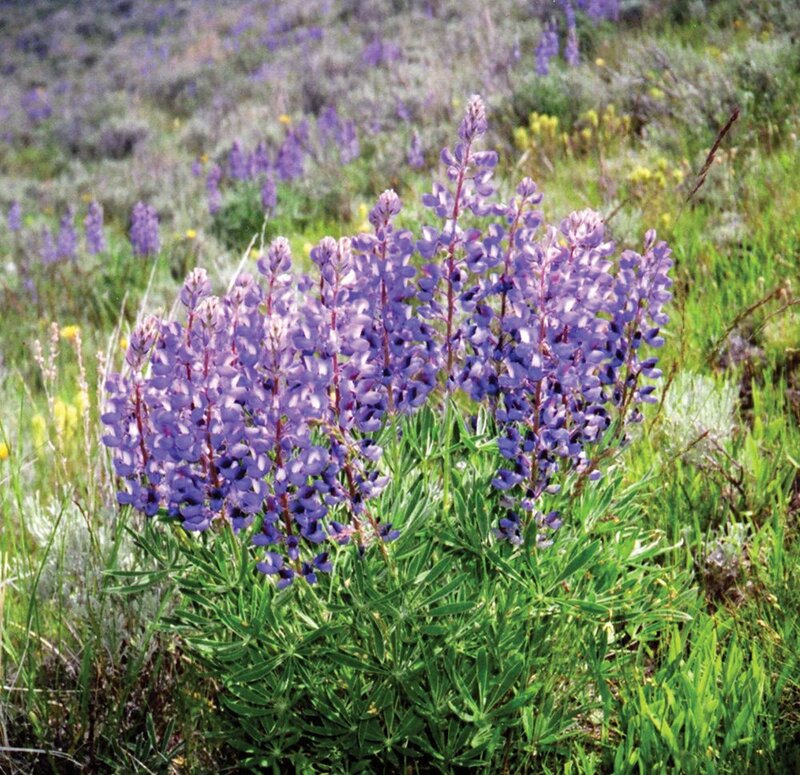 The laminae may be damaged, similar to what happens in a horse with laminitis that founders. The hoof horn doesn’t grow properly. For example, the hooves may grow abnormally and curl up at the toe. 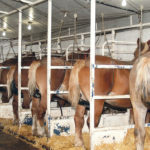 “If it’s simply poor hoof growth, you have to decide what you want to deal with. Many people would cull that animal, but if it’s just poor back feet on a good cow, with short ears and tail, and the owner wants to keep that cow, I am happy to trim those feet. If she is getting around all right on those feet, she can have a good life,” says Acton.